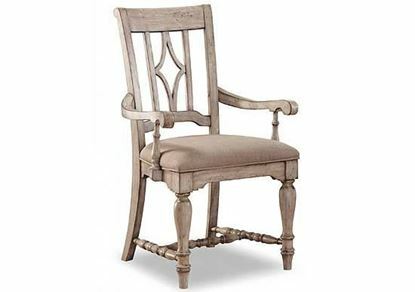 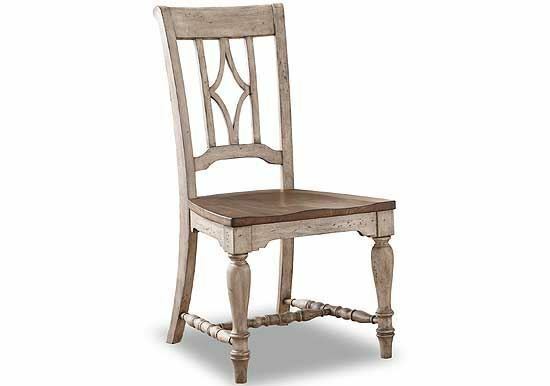 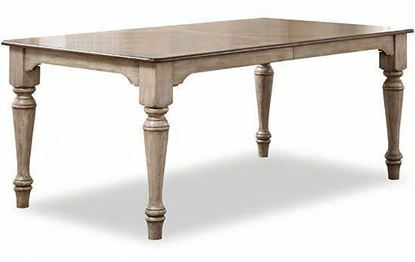 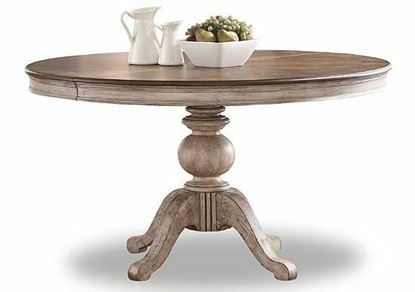 The Plymouth Dining Chair by Flexsteel boasts a shabby chic design with an overall whitewash finish. 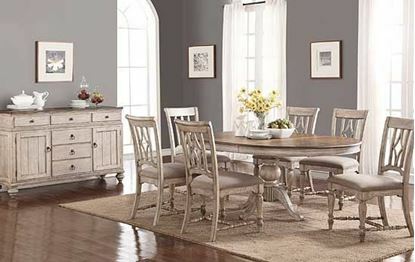 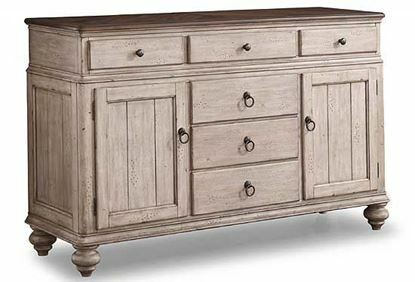 Accented by a dark seat and coordinating dark dining table and buffet tops, Plymouth is ideal for those who like a bit of vintage design in their modern lives. 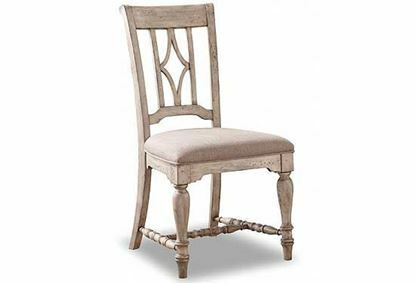 This chair features a panel back with a diamond-shaped detail, and is a perfect seating choice to complement the Plymouth rectangular dining table or round pedestal dining table.